To address the market demands for gas control, storage, and regulation, Cryostar can provide custom made solutions to meet most stringent requirements in terms of performance, operation and quality. By combining our pump know-how with the customer's application expertise, we are able to optimize each pump precisely to specific application requirements. 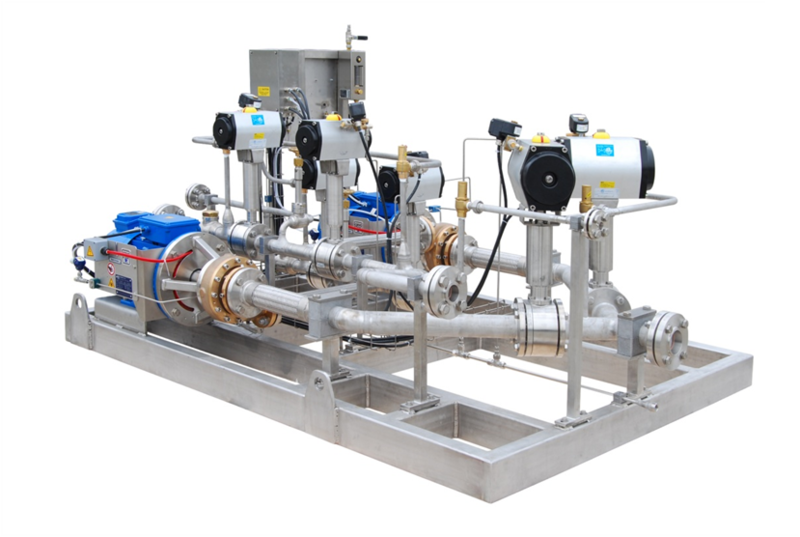 Delivered as complete skidded units in manual or full automatic execution these customized systems can be used in various cryogenic gas processing such as nitrogen inerting, wobbing, carbon capture sequestration, pressure testing facility, military or aerospace applications.